Want to build an extension under permitted development rights? Doing so means that you can avoid having to apply for planning permission, so will need (slightly) less paperwork and will make a (slight) cost saving. Extending under permitted development rights is entirely possible to do under the current rules. Whether you’re considering building a single storey extension or double storey extension at the back of your house, you live in England, and you plan your extension carefully, you may well be able to avoid having to make planning application, building under permitted development rights instead. 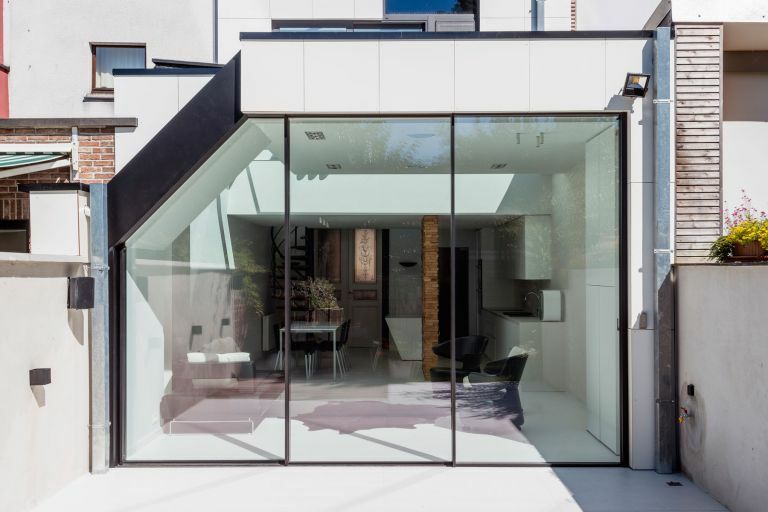 Follow our expert guide to find out how to achieve your extension project under permitted development rights – and find out all you need to know about extending a house in our ultimate guide. What is an extension under permitted development rights? Under current permitted development rights (PD) rules relating to extensions, you can plan and build a structure in the following ways without planning permission, as long as you adhere to certain guidelines. If you are planning and designing a single storey extension, this means it can be up to 6m from the original rear wall of an attached house (or 8m on a detached property) and up to 4m in height. If you are adding a double storey extension, it can’t be taller than the highest part of your existing roof; mustn't extend beyond the rear wall by more than 3m; must be at least 7m from the boundary; be built in materials to match the original structure; no two storey extensions can be made to the front of the house, or to any wall parallel to the highway. Consider, too, that if the roof of a double storey extension connects to your existing roof you will need to deduct the volume of the extension roof from any volume allowance you have in place for a loft conversion (for attached houses there is a loft dormer allowance of 40 cubic metres, and 50 cubic metres for detached properties; under PD, a two storey extension could have a roof element of 10 to 35 cubic metres). Any upper floor window in a wall or roof slope of a side elevation of a double storey extension must be non-opening and obscure-glazed, unless the opening parts are more than 1.7 metres above the floor of the room in which it is installed. All extensions and outbuildings must not cover more than 50 per cent of the original garden area. See planningportal.co.uk for full conditions, and always double-check with your local council as each one can differ slightly in its approach. In all cases, whatever your extension type and even if you fall within all these guidelines, it's vital that you check with your local authority that the specific project you are planning falls within permitted development rights before work begins. Before proceeding with your project under permitted development, ‘prior approval’ must be sought from the local planning authority, and a neighbour consultation scheme implemented. This process, done through your local authority, is to allow neighbours to be consulted, requiring a written description, with key dimensions and a to-scale site plan, to be submitted. Prior approval does not automatically mean the development can proceed, as it does not negate any overriding interests such as restrictive covenants and easements, including rights of way and right to light, so always check title deeds. Listed buildings will also require listed building consent. If your adjoining neighbours do not object to your extension within the 21 day consultation period, the council will issue an permitted development rights approval notice. There is no application fee and the local authority has 42 days to respond from the date received. If neighbours do object, the council will consider the impact on the amenity of their property and decide whether it is reasonable to build an extension without planning permission. If the application is refused, there is an appeals process. Can you add an extension under permitted development to all property types? Permitted development rights for extensions apply to dwelling houses, not flats, so if you live in a ground floor apartment, for example, and want to extend the room at the back of the property, you will need to apply for planning permission. Permitted development rights may also be restricted or removed by the local authority by planning conditions that were applied by a previous approval. Bear in mind that the back of a property is taken as the original rear wall, or as the building stood on 1 July 1948, so this could affect the size of extension allowed, or if permitted development is applicable. If the original wall has changed, check what’s allowed with your local authority. If you are extending under permitted development rights, it's a good idea to apply for a Lawful Development Certificate (LDC). This proves that your extension is lawful and does not require planning permission. It is not compulsory to have an LDC, but there may be times – such as when you are moving house – when you might need one. Find out more on the government's LDC page.